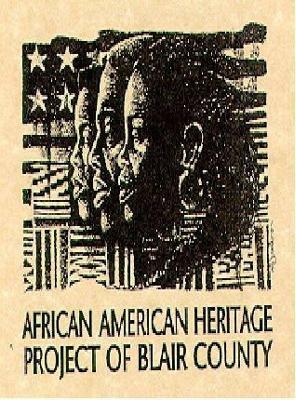 The 18th annual Blair County African American Heritage Festival will be held at Penn State Campus on Saturday, July 23 from 12pm to 8pm. This daylong festival of music, arts, crafts and history celebrates African American culture in Blair County, and features music by gospel artists Pastor Best and Restored from Laurel, MD, R & B artist "Docta E" from Columbus, Ohio and Ibeji Drum Ensemble, playing traditional African music, from Pittsburgh. Traditional soul and festival foods also will be available throughout the day. There will also be a children's area as well. Price of admission: $1 per carload. For more information, check out www.altoona.psu.edu/aahp or contact Harriett Gaston at 814-949-5281. Has it really been 18 years since the first African American Heritage Festival? I can remember attending the first one and enjoying every minute, although it wasn't as big as it is now. Thank you so much for reminding us about it again this year. I hope I'm able to find you this year and say hello. I couldn't attend last year because of getting a knee operation but I have high hopes of meeting you this year. I hope the guy that sells the hats will be there, I just love buying one of his hats to add to my collection.